If the phrase “male a cappella group” conjures up an image of students in blue blazers, ties, and khakis singing traditional college songs on ivied campuses... think again. Straight No Chaser (SNC) are neither strait-laced nor straight-faced, but neither are they vaudeville-style kitsch. They have emerged as a phenomenon with a massive fanbase, numerous national TV appearances and proven success with CD releases. The HAPPY HOUR TOUR comes on the heels of the release of Under The Influence, their fourth album release through Atlantic Records. The album features contributions from superstars Jason Mraz, Rob Thomas, Phil Collins, Dolly Parton and more! Straight No Chaser is the real deal, the captivating sound of ten unadulterated human voices coming together to make extraordinary music that is moving people in a fundamental sense... and with a sense of humor. 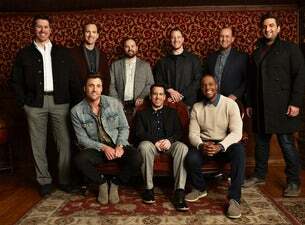 On the road, Straight No Chaser has built a reputation as an unforgettable live act.